On the 13th of September 2017, I visited the Kobe Student and Youth Center (KSYC) for the second time to interview Prof. YASUDA Shigeru at Kobe University. Founded by the United Christian Church in Japan in 1972, KSYC has been the cradle of various civil movements in the region. In addition to holding regular seminars on Korean language/ history, food safety, and modern Christianity, KSYC also deeply involved in improving the conditions of Zainichi Korean people. Prof. Yasuda was one of the early leaders of the organic farming movement in Japan. Using KSYC as a base, he organised monthly seminars on food pollution since June 1973, and facilitated the creation of Hyogo Prefecture Organic Farming Research Group in November 1973. He organised an urban consumer group for antipollution and food safety in 1974 by educating consumers through seminars on food safety. This consumer group expanded organic farming through community-supported agriculture (CSA) in the prefecture. The number of members reached 1,800 at one stage, but dropped significantly due to Kobe Earthquake in 1995. The research group and the consumer organisation not only influenced Ainōkai and other organic farming groups in Japan, but also inspired Korean consumer cooperatives including Korean Catholic Farmers Movement. The early leaders of Hansalim movement visited KSYC in the early 1980s, and they adopted the CSA model when Hansalim was created in 1986. Currently, Prof. Yasuda runs an Organic Farming Class (monthly) for the farmers who want to convert to organic farming or the urban people who want to learn farming. He started this new program seven years ago as he thought the consumer-driven organic farming movement had reached its limit. There are eight classes (about 40 students per class) in the prefecture and they consist of lectures and hands-on farming practice. I am grateful to Prof. Yasuda, Mr. HIDA Yuichi, and Mr. PARK Soonyong for their support and kindness. On the 14th of July, 2017, I visited PCD (社区伙伴, Partnership for Community Development) in Hong Kong. PCD is an NGO established in 2002 by Kadoorie Foundation (http://www.pcd.org.hk/en). PCD promotes urban farming and ecological (organic) farming, and helps urban people to settle in farming villages. PCD aims to restore agricultural values in urban people’s mind, and also create the community (社区, shèqū) of mutual help between farmers and urban consumers through CSA. PCD has partners in major cities like Beijing, Chengdu, Guangzhou, and Shanghai. It was a great opportunity to introduce my research on the Hansalim Movement (an organic consumer cooperative movement) to PCD. Also, I learned about the history of organic farming in China, and more broadly, the similar challenges that small farms face in Hong Kong and Mainland China as in other East Asian countries under globalisation. While the consumer demand on safe food has driven the growth of the movement since the early 2000s, PCD does not stop at satisfying the consumer demand, but aims to create a sustainable society based on agricultural values. For those who interested in CSA in this region, I recommend to read the publication from the conference organised by PCD in 2012.
the ‘tri-love spirit (sanaiseishin, 三愛精神)’ – love for God, love for people, and love for the land. The communal features of the Danish model based on folk high schools, cooperatives, and Church fitted well into the Japanese Christian leaders’ ideal of saving poor farmers by creating modern Christian faming communes. Accordingly, the tri-love spirit became the moral basis of the Japanese Protestant Church’s rural ministration. In my fieldwork, I intended to investigate the history of the ‘tri-love spirit movement (sanaiseishin undo)’ or ‘tri-love school movement (sanaijuku undo)’ in Hokkaido by visiting the Rakuno Gakuen University in Ebetsu as well as two regional centres of the movement in Nayoro and Setana. I started my trip from the Rakuno Gakuen University which has been central in spreading the Danish dream. Emeritus Professor OHTA Kazuo from the university kindly explained the early history of the university and the beginning of the movement. The university was founded as Hokkaido Rakuno Gijuku in 1933 by KUROSAWA Torizo (1885-1982), a Methodist and eminent corporatist. Following the Danish dairy cooperatives, he started the Dairy Sales Union (Rakuno Hanbai Kumiai) in Hokkaido since 1915 with UTSUNOMIYA Sentaro (1866-1940). Their cooperative was so successful to bring him the reputation of the ‘Hokkaido Butter King’, and it grew to one of the largest dairy company in Japan – Snow Brand Dairy (Yukijirushi). As a disciple of TANAKA Shozo (1841-1913), Kurosawa was committed to relieving Japanese farmers from poverty and ignorance, and the Danish folk high schools and cooperatives seemed the very way to enlighten and empower Japanese farmers. The Tri-love School Movement (Sanaijuku Undo) in Hokkaido started following the Grundtvigian model of lifelong learning. Initially, movement started in 1950 from the Rakuno Gakuen University by its first president HIURA Makoto (1898-1991), and spread to local areas in Hokkaido including Kamifurano, Konsen, Setana, Nakashibetsu, Kitami, and Asahikawa. The school was designed as a short-term camp during the agricultural off-season, and farmers gathered to learn and discuss various issues on farming techniques, national & international agricultural problems, religion, democracy, and most importantly, their own experiences of farming life. Each regional centre of the movement developed with its own local characteristics. When I visited Nayoro and Setana, I found that those two centres were closely connected to the Rakuno Gakuen and its alumni networks. At the same time, those two centres had their own distinctive history. In the case of Nayoro, I was interested to find the international cooperation between the local tri-love movement and the Canadian Church. Rev. 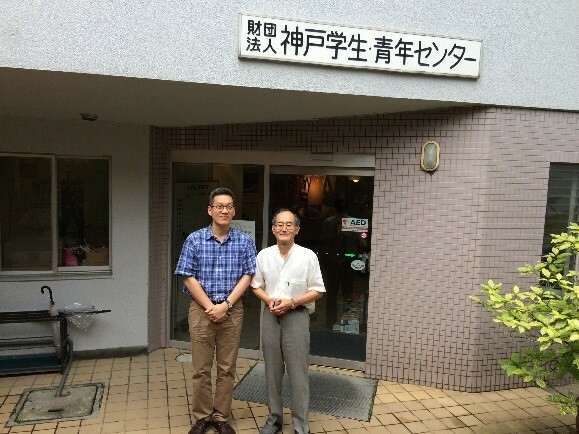 FUJIYOSHI Kuriko at the Dohoku Christian Center introduced me the history of the tri-love school movement in Nayoro. The centre was founded in 1960 by the Canadian World Council of Churches, and started the tri-love school from 1961. A Canadian missionary, Floyd Howlett (1921-2003) played an important role in the movement. Later, I visited a member’s farm and had a chance to talk about the school and their farming life. I asked them what would be the biggest difference that the tri-love spirit made in their farming. “We grow food for sharing, not just for selling.” The farmer replied. What I sensed from his words was a strong sense of morality and pride that keep motivating him to continue farming in spite of all the disadvantageous market conditions. The final destination in the field trip was Setana, a small fishing village in the western part of Hokkaido. Mr. NISHIKAWA Motomu facilitated the interviews with a group of the early members. They were mostly the graduates of the Rakuno Gakuen University, and came to Setana because the land price was only affordable in this remote area. They started from scratch and some of the early members left the village because of the difficulties. 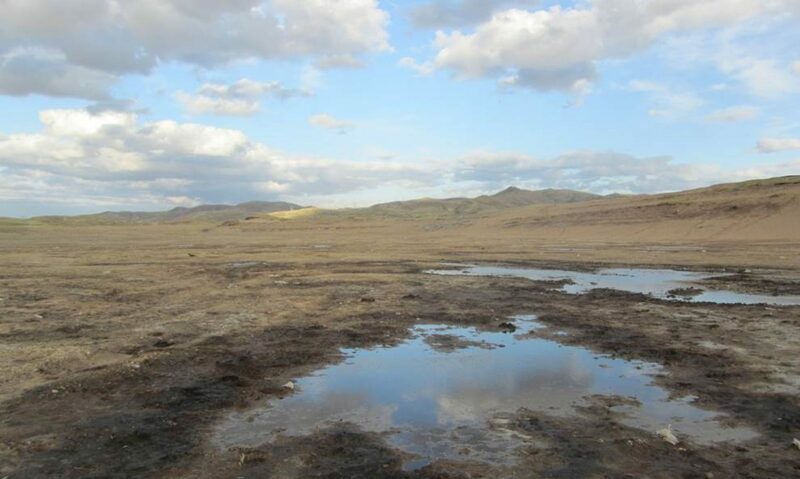 However, the remaining members continued to improve the land and continued the movement. Some of the members travelled to Denmark and Norway to study at the folk high schools, and Mr. Nishikawa shared his experiences in the ‘Denmark Farm’ in Shizuoka in the 1960s. 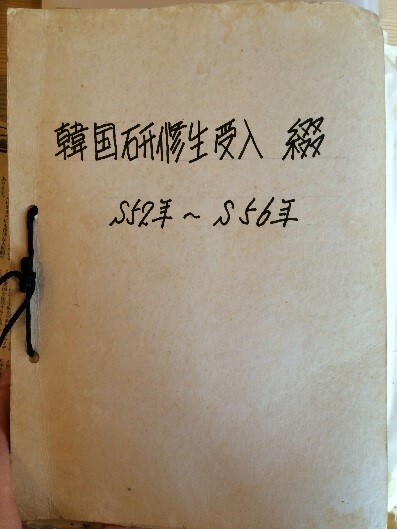 He also surprised me and other members by sharing the visitors’ book of his farm (from 1964 to 1974) which contained messages from domestic and international farmers and visitors. The tri-love school first opened in 1967, and the latest school was the 72th school held in April 2016. After the interview, Mr. Nishikawa took me to a young member’s self-sufficient farm, and his own dairy farm where he produced organic milk. What was common to Mr. Nishikawa and other members was that they were independent not only economically, but also culturally. While urban culture based on consumerism and monetary economy often trivialises the meaning of farming and rural life, the tri-love spirit helped them to preserve their dignity as a farmer. After the tour, Mr. Nishikawa invited me to his home and shared his old photo album – which was the most exciting time as I could walk the times in the afternoon’s interviews. I was deeply impressed by his personal story as a self-made man who consistently followed his faith despite all the challenges. I visited Denmark from the 28th of June to 7th of July 2016 with regard to my research project on the history of the organic farming movement in South Korea. One of the key arguments in my research is that South Korea organic farming movement is based on the tradition of the rural modernisation led by Korean protestants groups in the 1920s and the 1930s. Their vision of agrarian modernity was largely influenced by what they called as the ‘Danish model’ based on folk high schools, cooperatives, and the church. While the model drew global attentions with the economic growth of Denmark since the late 19th century, it was initially introduced to Korea since the 1910s through Japan and the US and attracted Korean (and Japanese) intellectuals and religious leaders to visit Denmark to learn the model. In my research, the Danish model contributed to creating a sense of rural autonomy in South Korea as the counter-ideology of the government’s national campaign of rural modernisation. So, in planning this field trip, my first goal was to understand the original form of the Danish model by investigating the situations of rural Denmark in the 1910s and the 1920s – the period when Korean and Japanese Christian leaders visited Denmark. In doing so, I intended to verify how the Danish rural society was understood (or misunderstood) by the East Asian visitors, and how the original model was modified when it was implemented in the visitors’ home countries. One specific interest was to examine whether the sense of rural autonomy was inherent in the process of the Danish rural development or it was an East Asian phenomenon. Meanwhile, my interest in the Danish model did not stop at finding what early Korean and Japanese visitors witnessed, but examining the possibility of the Danish model as an alternative model of more agrarian and less capitalistic society. Not only in the past but in the present, many Koreans who are interested in alternative education and rural lifestyle travel to Denmark to learn from the Danish model. Therefore, my secondary interest, although this may not be directly relevant to my research, was to examine the validity and the feasibility of the Danish model as the alternative for South Korean society. Among the places that I visited, the National Museum of Denmark in Copenhagen, and the Danish Agricultural Museum in Auning were very resourceful, and therefore, helped me to understand the history of Grundtvigianism, folk high schools, and cooperative movement in the bigger picture of the Danish history in general. In addition to museums, in Funen Village in Odense, I could see and feel the Danish rural life when it was in the middle of the progress toward a modern, democratic and affluent rural society. It was a farm village recreated in the 1850s’ style by restoring historical buildings and facilities in the region. As for the Danish folk high schools, I chose three sites to visit. The International People’s College (IPC) in Helsingør was selected because it was where several Korean missionaries visited in the 1920s. While other folk high schools taught classes in Danish, IPC offered classes in both English and Danish. Second, the Askov Højskole in Vejen was one of the earliest folk high schools with a high reputation. The school’s name frequently appears in the Japanese literature in the 1910s and the 1920s that introduced the Danish folk schools (as well as in the report of US Bureau of Education in the 1910s). My last visit was made to the first folk high school in Denmark – the Rødding Højskole in Rødding. It was disappointing that none of the schools had its own archive or museum. To my regret, I had only come to realise this when I visited the site. An immediate access to historical material was not available during my field trip, so I had to settle for securing contacts for my future research. Posters for the Japanese Exhibition (Copenhagen Zoo, 1902) from the exhibition ‘Learning from Japan’ at the Danish Design Museum in Copenhagen. On this fieldwork, Yonjae focused on collecting data on the case of Hansalim movement, the first organic consumer cooperative movement in Korea, which contributed to significant expansion of South Korea’s organic farming movement since its foundation in 1986. From his previous fieldwork, Yonjae had learned that Hansalim movement was directly influenced by the tradition of autonomous rural village movement in Wonju area. Specifically, the civilian Disaster Recovery Committee (DRC, 災害對策委員會, 1973 – 1979) led by a local intellectual, Jang Il-soon, and the Catholic Church bishop, Ji Hak-soon, at Wonju diocese provided social and economic foundations of Hansalim movement. In addition to the influence of DRC, Yonjae found that the Catholic Farmers Movement (CFM, 가톨릭農民會) played a vital role in creation of Hansalim movement. In particular, CFM’s two main agenda of rural democratization (農村民主化) and building ‘Communities of Life’ (生命共同體 運動) in the 1960s were succeeded in Hansalim’s cooperative movement. Yonjae plans to research further on how the rural movements of CFM and DRC were transformed into Hansalim’s organic farming movement. After the big flood in 1972, the committee aimed to reconstruct the rural villages using creating credit unions and cooperatives. Organic Farming Movement published by Social Development Committee (former DRC) in the early 1980s, and Principles and Practices of Credit Unions written by Lee Sang-ho in 1965. 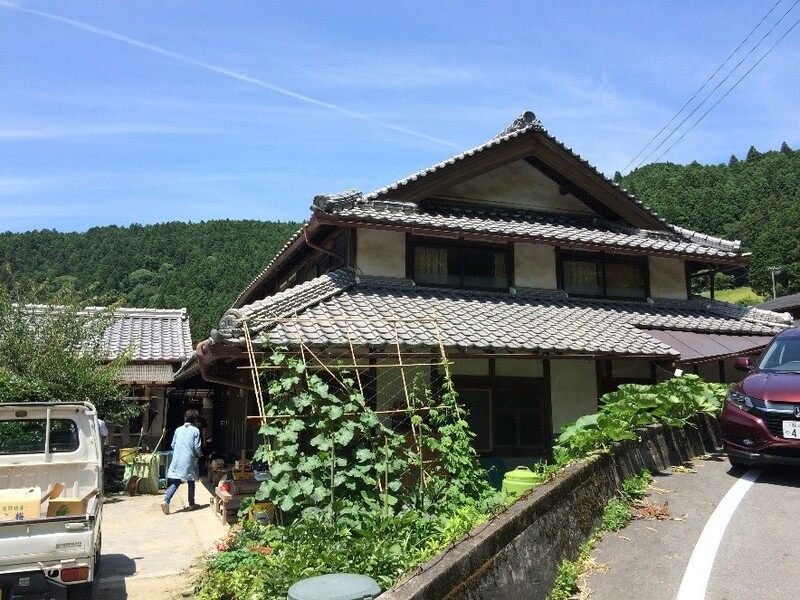 Yonjae Paik conducted a short fieldwork to Japan focusing on the intellectual and personnel exchanges between Korean and Japanese organic farmers as well as the historical context of Japanese organic farming movement. The first site was Ainoukai and Ainou Agricultural High School in Mie Prefecture. Between June and July Yonjae conducted interviews to mainly investigate Ainoukai’s history and the exchanges with Jeongnonghoe, but also inquired about the role of cooperatives in selling organic products, the relationship among members, and the relationship with local communities. Also, he covered more contemporary issues such as the impact of the Fukushima nuclear accidents on the Ainoukai members in Fukushima Prefecture. At the initiative of Ainoukai’s local tours, Yonjae visited a member’s domestic organic product factory, a localisation movement site, and co-op shops. He also found some important materials at the archives in the Ainoukai’s office. The most fruitful outcome from the trip was to find the continuing tradition of rural autonomy – from the Non-church Movement in the 1920s to contemporary localisation movement. One other interesting finding was that Jeongnonghoe and Ainoukai extended its theme of exchanges from ‘organic farming’ to ‘peace movement’ overcoming the barriers of national politics. After visiting Ainoukai, Yonjae travelled to Kobe Student and Youth Center to conduct an interview on the cooperation between Korean and Japanese organic farming cooperatives since the 1980s. Later, he visited Kagawa Toyohiko Memorial in Kobe where he collected materials related to Kagawa’s works on Christian rural development. Finally, he presented his research project with the new findings from the fieldwork at the Nagoya University focusing on the history of cooperation between Korean and Japanese Christian intellectuals and farmers since the 1920s. A member’s farm house where organic tomatoes and soybeans are processed. 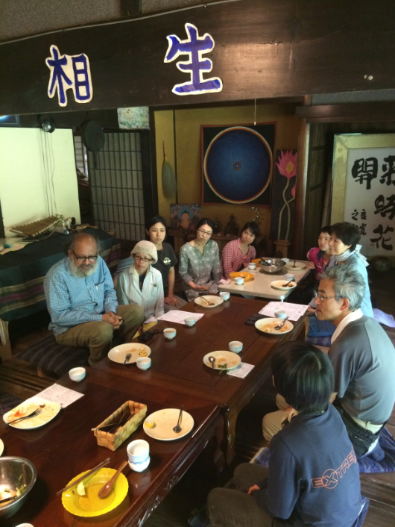 Monthly luncheon gathering at ‘Sorano-ie’ (a house in the air): Ainoukai involves in rebuilding rural communities by helping urban people to settle in rural villages and to start farming. Korean trainees reception file (1977~1981) – Jeongnonhoe sent trainees to Ainoukai to learn organic farming skills. Ainoukai was founded by Mr. Junichi Kotani as he started Ainou-juku (‘juku’ means a private school) in 1945 in Wakayama-ken. He aimed to initiate a farmers’ movement for their self-reliance based on the spirit of ‘love for God, love for men, and love for soil’. 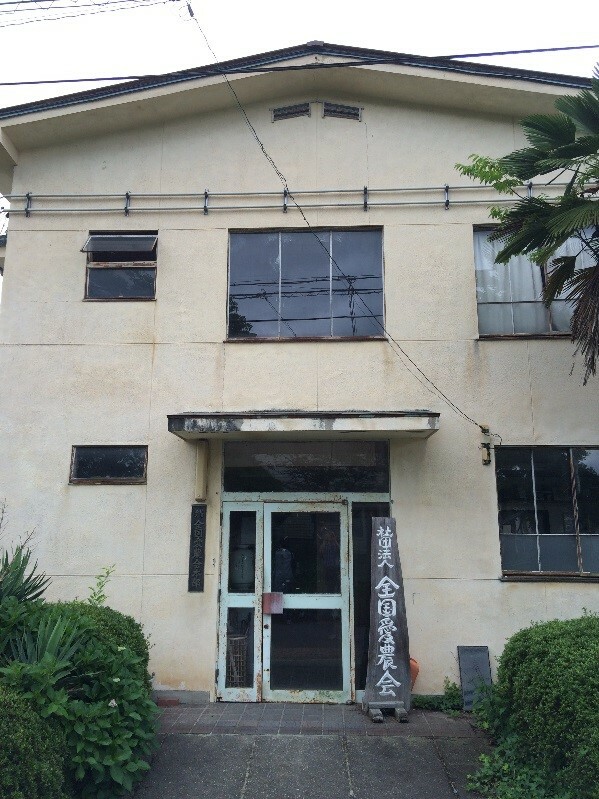 Later, Ainou Agricultural High School was established in 1964. Jeongnonghoe, which means an ‘association of righteous farming’, is the first organic farming movement organisation in South Korea created in 1976 by a group of Protestant farmers. Jeongnonghoe’s creation was directly influenced by Ainoukai.